Here is your sparkling "something blue" to add to your hairstyle on your wedding day. 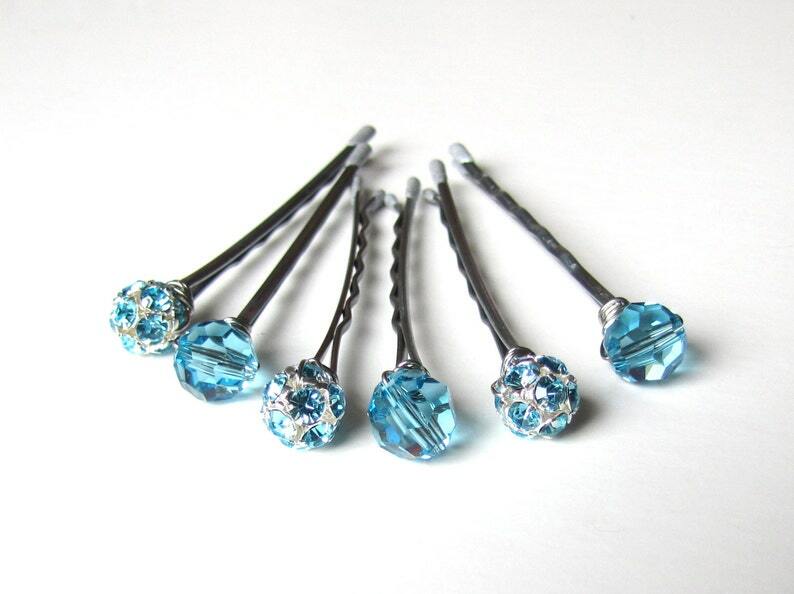 This set of 6 hair pins features a mix of 8mm genuine Czech crystal rhinestones and Swarovski crystals. 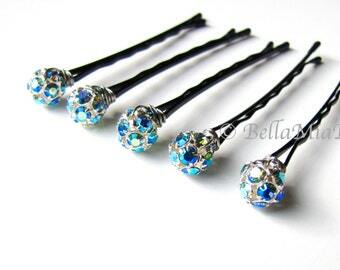 Each bead is attached to a gripping 2 inch silver/gray bobby pin (customization available). Features a wire wrapped style using silver tone wire for stability and added texture. These stunning pins are designed to tuck into an updo hairstyle or or next to a braid on your wedding day, or for any other special occasion. **If no pin color choice is given, they will be made as shown in the photos. Please allow 2-3 business days for your hair pins to be made and leave my studio.